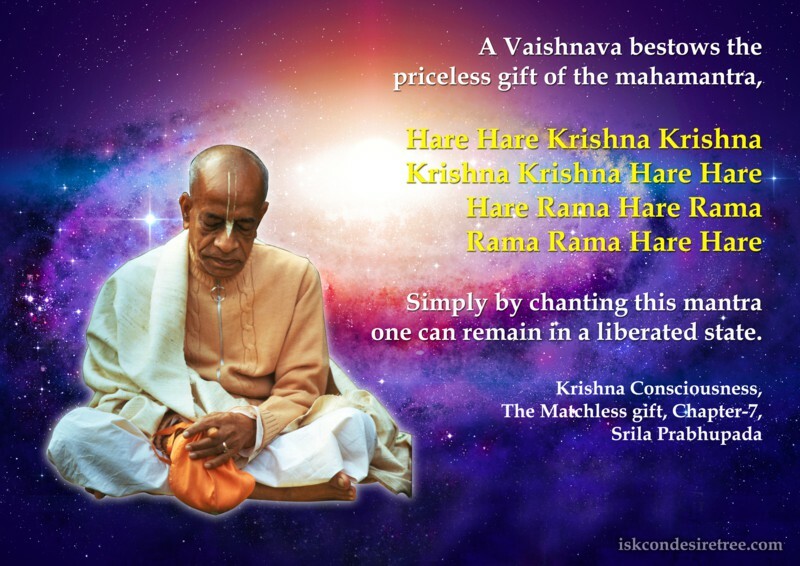 A Vaishnava bestows the priceless gift of the mahamantra, Hare Krishna Hare Krishna Krishna Krishna Hare Hare/ Hare Rama Hare Rama Rama Rama Hare Hare. 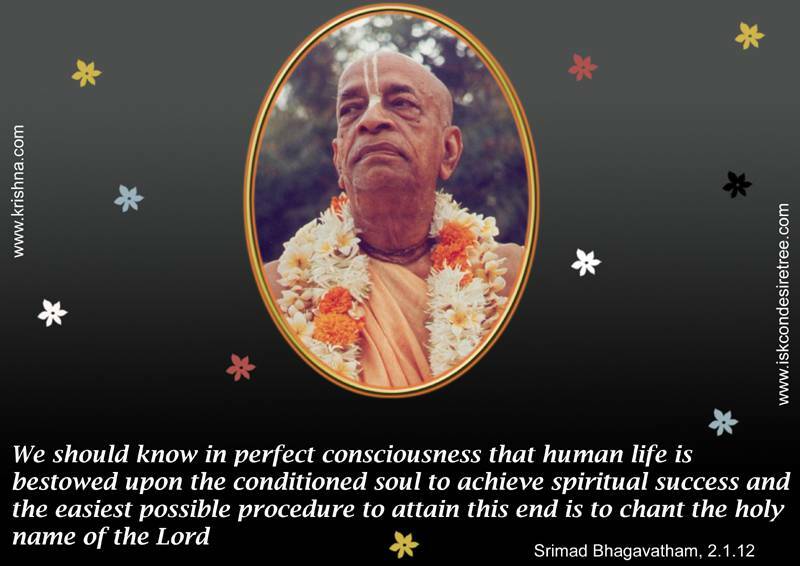 Simply by chainting this mantra one can remain in a liberated state. 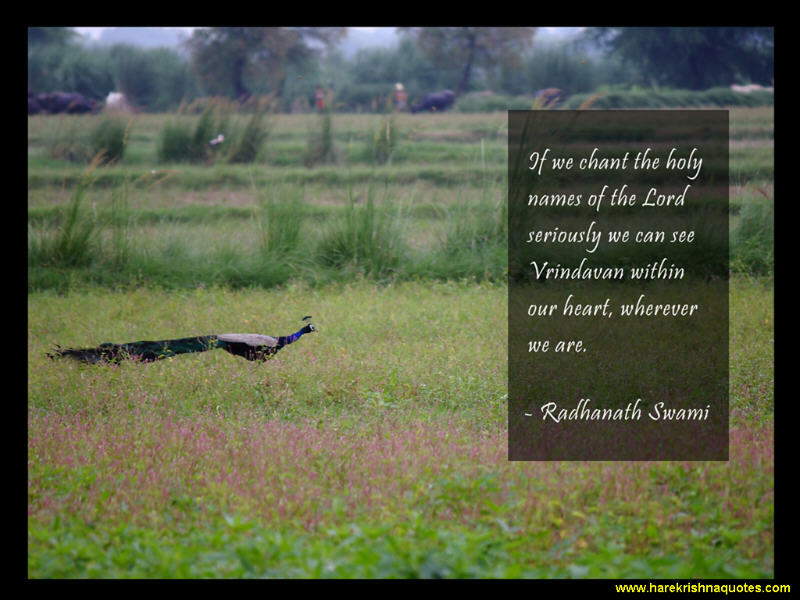 If we chant the holy name of the Lord seriously we can see vrindavan within our heart, wherever we are. 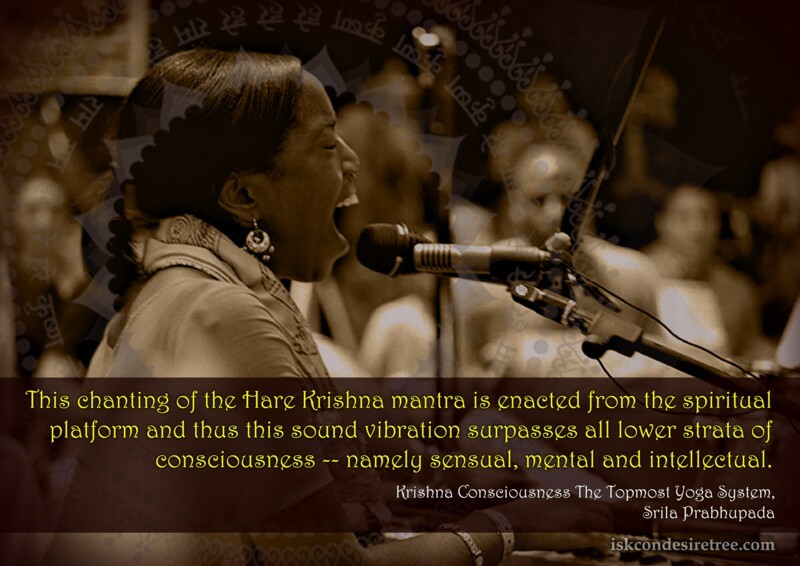 If we hear properly, the holy name will enter through our ears into the region of our heart and shower down nectar. 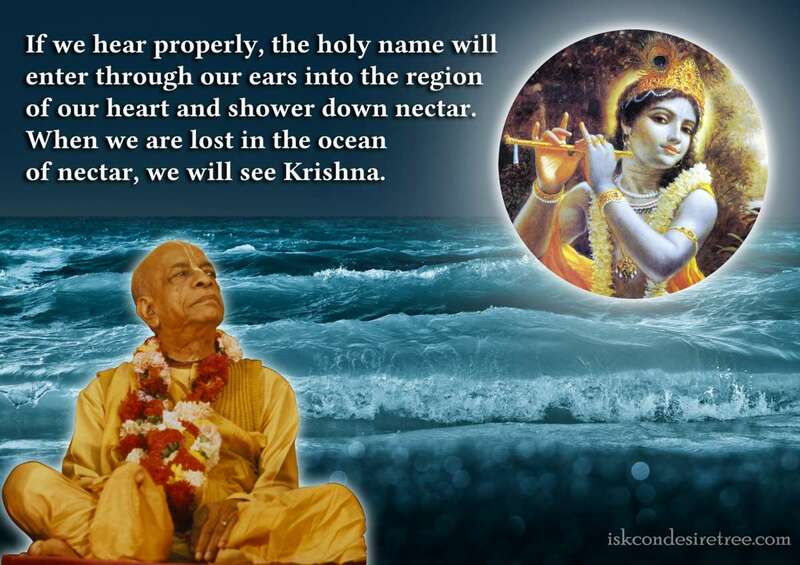 When we are lost in the ocean of nectar, we will see Krishna. 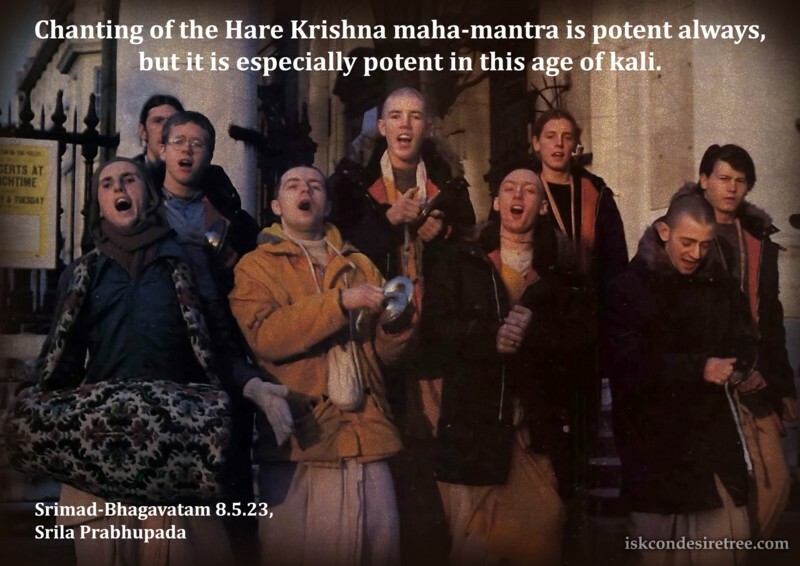 Chanting of the Hare Krishna maha-mantra is potent always, but it is especially potent in this Age of Kali.